Monero is an open source decentralized cryptocurrency that uses the CryptoNote protocol. Monero is a privacy and security centric currency. It uses stealth addresses and ring signatures to disguise transactions. The stealth addresses create a new randomly generated address each time monero is sent to someone. The ring signatures group account keys with public keys which results in the ‘mixing’ of sender addresses. This makes it difficult to link a signature back to a specific user. Further, a technique called ringCT is used to hide the amount of the transaction. As a result, the amount of the transaction as well as the identity of the individuals involved in the transaction are disguised. Like bitcoin, units of the monero currency are created through mining. Miners compete to solve complex calculations through computers and successful miners are rewarded with the currency they mined. However, unlike bitcoin, monero is a fungible currency. Each unit of monero can be substituted for another. In other words, 1 XMR always equals 1 XMR. 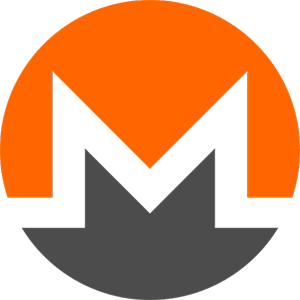 The concept behind monero was initially introduced in 2013 by Nicolas van Saberhagen in a whitepaper titled Crypto Note v 2.0. It was later outlined on the bitcointalk forum by a person who went by the thankful_for_today pseudonym. Although thankful_for_today is recognized as its founder, he proposed a changed that the development community didn’t agree with. This resulted in a fork that was followed by the core project team. The currency, initially called bitmonero, was released in April 2014. The team “continues to develop with goals of privacy and security first, ease of use and efficiency second.” This is why monero remains to be the currency of choice for people who want anonymity.